A special opportunity to transform your experiences from those of a victim to those of a creator, responsible for what you create. Creating authentic power is using your will to change your life, finding the sources of your pain and changing them into sources of gratitude. The Authentic Power Program is the most transformative, in-depth, and comprehensive program for learning to create authentic power on the planet. It is a three-year exploration and experience of creating authentic power in close interaction with Gary Zukav and Linda Francis. The Authentic Power Program is a portal into a community of people striving to become spiritual partners. These are people who are transforming their lives from the pursuit of external power (the ability to manipulate and control) to the creation of authentic power (the alignment of the personality with the soul). Creating authentic power is essential for everyone who is interested in, or actively working toward, creating a planet without conflict. The Authentic Power Program is designed specifically for those who are committed to creating authentic power.Â The program is experiential and a big part of it is practice, which gives you the ability to apply at home what you learn in the program. The Authentic Power Program is a microcosm of your life in which you learn to use your experiences, including your emotions, to grow spiritually. Everything that you share and do in the Authentic Power Program will be used to help you create authentic power. As you develop the ability to see your experiences differently in the program, you also begin to see your experiences at home, at work, in school, with your children, your parents, and your neighbors differently. You will learn with the support of others who are also committed to creating authentic power how to use your emotions to grow spiritually, consciously choose your intentions and what they create, recognize and access your intuition, and develop trust in the compassion and wisdom of the Universe. 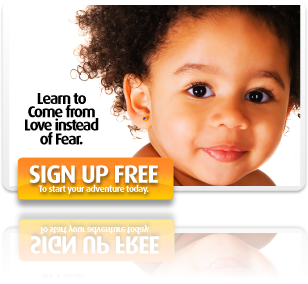 If this program speaks to your heart, come join us in our five-day Journey to the Soul retreat or sign up below for our free site membership. We also encourage you to read our books and assess if becoming part of the Authentic Power Program is a good fit at this time. Note that the Authentic Power Program requires a serious commitment of time and energy to your spiritual growth. Acceptance to the program is determined by the Seat of the Soul Institute, based upon your application materials and phone interview (if required). Will you join us in our journey?